The Tampa Bay Times has uncovered an email from an FHP supervisor instructing his troopers to write more tickets. “The patrol wants to see two citations each our…” reads the email from Major Mark Welch. He and FHP deny this is a quota, which would be in violation of state law: but this is a quota. He sets a minimum number of tickets he expects his underlings to write per hour. That’s exactly a quota. The fact that he says “This is not a quota” does not redefine what a quota is. To make matters worse, there may be benefits tied to the number of tickets officers write. Troopers in Miami-Dade were given additional weekend passes when they met ticket-writing goals earlier this year. FHP ended that policy when it was exposed. It seems this new quota is tied to ‘SOAR’, an overtime program, though that program appears to incentivize them to work more hours, not to inflate their ticket numbers. Big brother is most definitely watching. Governor Rick Scott announced this week that he is seeking a budget allocation to increase the pay of correctional officers and probation officers. These officers are surprisingly underpaid, starting at under $30,000, which has made it difficult to fill positions and retain officers. The State doesn’t even provide a firearm to probation officers that have to go out in the field to visit felons. A few weeks ago he also announced that he is seeking a raise for state law enforcement officers, including FHP troopers, as well as FDLE, FWC and other agencies. The requested raise is modest, but probably overdue. I was speaking to some officers in court recently, and was surprised to see troopers leaving FHP to work in local departments, but the financial incentive was just too great. Fair pay is essential for maintaining the quality of our law enforcement officers. The pay raises will still have to be discussed during the upcoming budget negotiations, and are far from a done deal. Not only is there concern of a deficit, Governor Scott is hoping to cut the budget by over $600 million. Some tough decisions will have to be made, but the law enforcement and corrections raises need to come sooner than later. The News Press reports that the “Wolfpack” operation targeting impaired drivers by the FHP will continue tonight. As always, don’t drink and drive, and be safe out there as you celebrate your holiday. 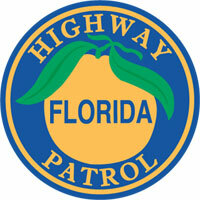 The Florida Highway Patrol has announced they will be running a DUI operation in Lee County on Friday, May 22. The news article says checkpoint, but apparently it is a “wolfpack” operation where they do saturation patrols. Big brother is watching: don’t drink and drive. Everybody be safe the Memorial Weekend! FHP Trooper Robert Purser set up a company for his side business of scheduling off-duty troopers for details closing down roads. That was legit; but over-billing the construction companies was not. 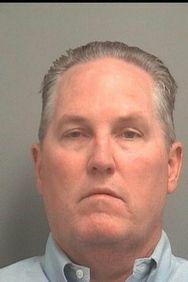 Authorities allege Purser over-billed by more than $200,000 over several years. Purser was dismissed by the agency Wednesday, after 23 years of service. My first take upon seeing the headline, that billing issues sound more like a civil contract issue than a criminal issue. But delving further, the state may have enough information to show legitimate fraudulent activity. They served the warrant back in January of 2012, and allege that they found fake invoices at his home for work that was never done. That may be consistent with criminal fraud. The article doesn’t indicate whether the trooper was still working in the year-and-a-half-plus that he was being investigated. That could be a lot of cases out the window. NBC-2 did a story on the Florida Highway Patrol’s use of airborne surveillance to catch speeders on I-75. The trooper is correct when he states that it is very hard to challenge such speeding tickets. There is no equipment to calibrate, since it is done via stopwatch. The key thing to remember from this post is to drive cautiously. Much of I-75 is under construction, and that can lead to enhanced fines if workers are present. And as you can see from the NBC screen capture, the troopers are just lining up, waiting to bust people.